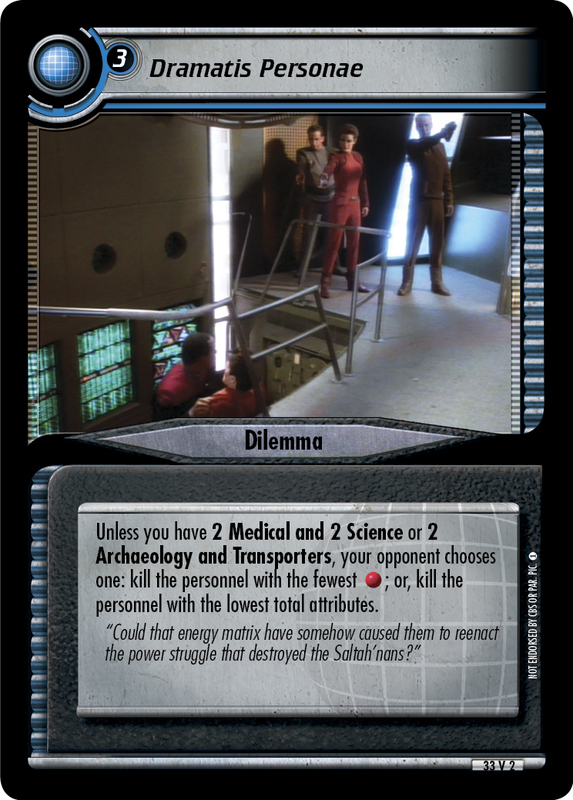 Unless you command personnel with more different affiliations than the owner of this dilemma, your opponent chooses a personnel to be stopped. 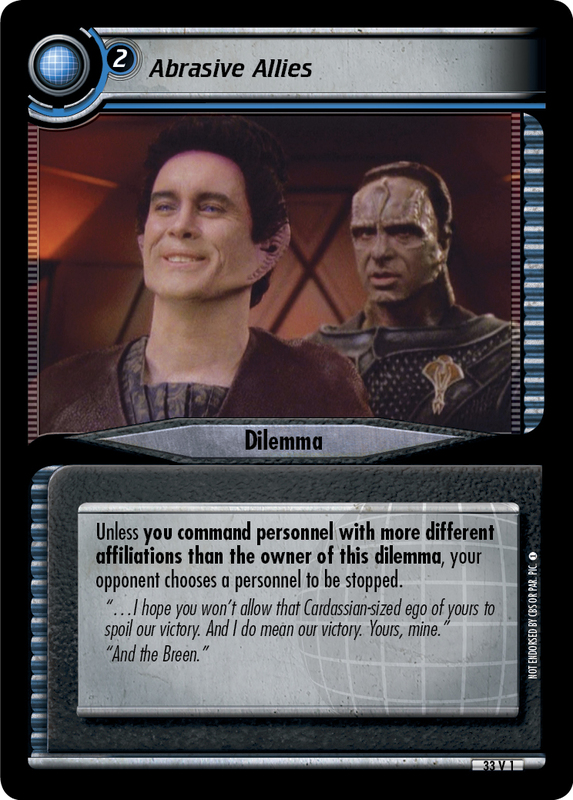 "...I hope you won't allow that Cardassian-sized ego of yours to spoil our victory. And I do mean our victory. Yours, mine."